If I Was Charged With DUI/DWI In NJ While Visiting, Do I Return To Their Court? Will I Have To Return To New Jersey For Court If I Was Charged With DUI/DWI While Visiting The State? You may have to return to New Jersey for court or to handle penalties if you’re convicted of DUI/DWI while visiting the state. If you are convicted as a first time DUI/DWI offender, you will be ordered to spend 12-48 hours at a state Intoxicated Driver Resource Center (IDRC), with the possibility of up to 30 days in jail. Obviously, these penalties can pose a huge inconvenience for you as a resident of another state. An experienced New Jersey DUI/DWI lawyer can provide you with legal guidance and representation that can help reduce your exposure to sanctions that may cost you time and money, and in some cases can even help you beat a DUI charge entirely. Every DUI/DWI case is different. If you were arrested for DUI/DWI while visiting New Jersey, call attorney Matthew Reisig today at 732-625-9660 for a free consultation with one of New Jersey’s most experienced DUI/DWI attorneys. Next post: I Think My DUI Stop In New Jersey Was Illegal. 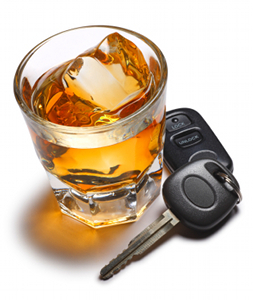 Can I Fight A DUI Charge On Probable Cause Grounds? Previous post: Are There Medical Or Disability Defenses To Failing A Field Sobriety Test In New Jersey?